Vinyl floor tape for temporary floor installations. Tape top floor seams and around perimeter. 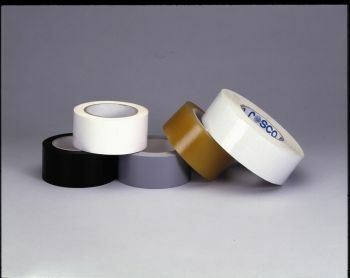 Double Sided tape: excellent for semi-permanent applications. Use in conjunction with vinyl floor tape. 48mm x 25m.